We are all busy living our lives; hence, we deserve to have some break and pamper ourselves from time to time. Lounging in a hot tub is specifically created for pleasure and relaxation purposes. Oftentimes, they are called as jacuzzi or spa. 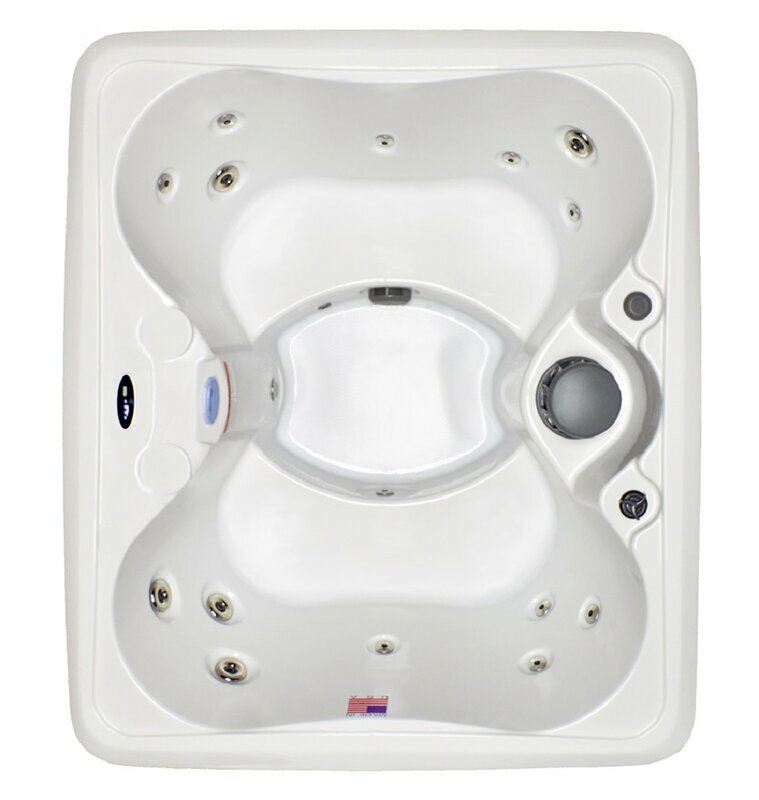 Some hot tubs feature powerful jets, providing you a good massage to get rid of the stress in your body. 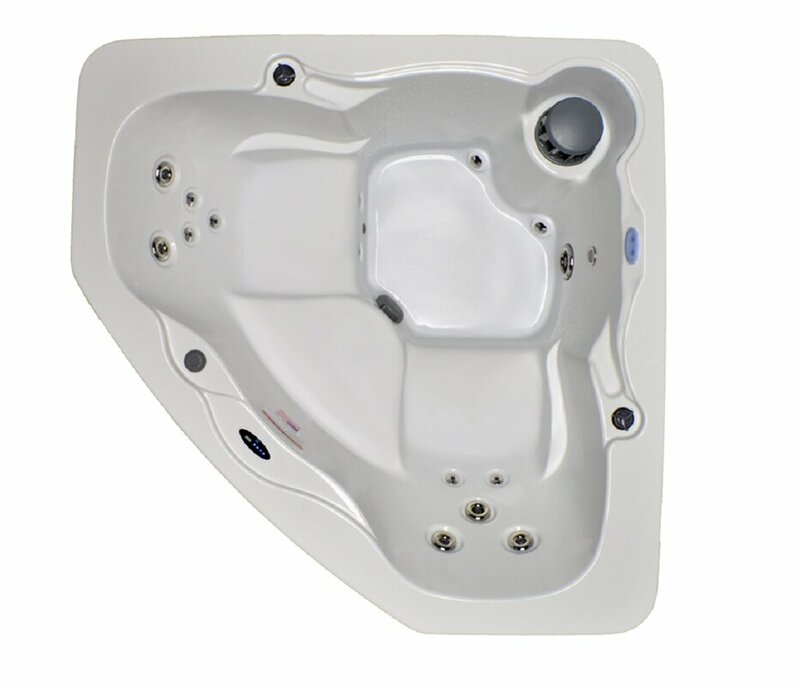 One of the known brands when it comes to premium hot tub is the Hudson Bay Spas. In this article, we have selected 5 products and created our list of Hudson Bay Spas reviews to help you in your quest of finding the best hot tubs in town! 2 Why Buy The Right Hot Tubs? This soaking tub can comfortably and conveniently fit 2 people inside. It also features shoulder, back, foot, and calf jets, providing its users a great soaking experience. Plus, it does not consume a lot of energy. It can retain heat well. You do not need to have an ozonator to use it. It has a hard cover tub cover. Its drain hose is conveniently located behind the panel. It is safe to use as it is slip resistant and highly durable. It comes with a filter system. Its water capacity is only up to 225 gallons. Up to 3 people can fit in this tub, and with its triangular shape, you can place it even in the areas of your home with a limited space. 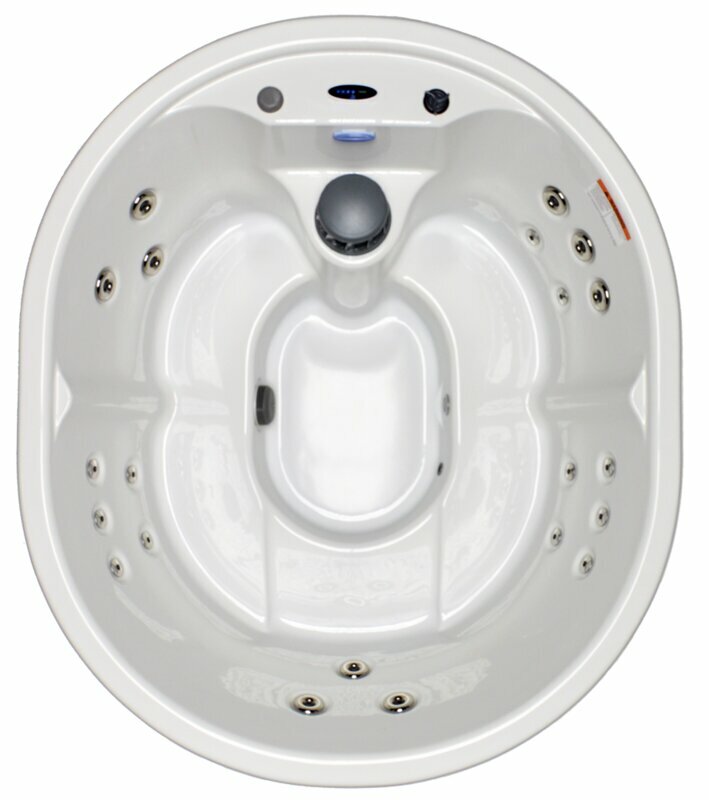 It is also known to be an impressive high-performance and low-energy consumption tub model. You can lock the cover if you want. It has a built-in waterfall. It is comfortable and powerful enough. Its jets are relaxingly strong. Its heater is made of stainless steel. It comes with LED lights (7 colors). It does not come with hand shower and cover lifts. If you have 4 people in the family, then this tub is suitable for you. Also, it is considered to be the user-friendly one as it has a topside control system. It also runs quietly when operated both on low and high. Lastly, it also comes with a quality cover. The drain plug is conveniently located at the spa’s base. It only weighs 500 lbs when dry. It is a thermal spa. The hot tub cover and light are included in the package. The 14 jets are not adjustable. With an underwater LED light and stainless jets, 5 people can have a relaxing time soaking themselves in warm water using this tub. Also, it is very easy to operate as the digital controls are located on the same side as that of the plug. It also has mocha cabinets. It includes a lockable safety cover. Its jets are made of stainless steel. Its heater works well even in extremely cold climate. It has an anti-fungicide tubing. You cannot run the heater and the jets at the same time. This tub features a maintenance-free cabinetry and with a base frame that has been pressure-treated; it can be used for long years. Also, it can hold the temperature well even during the winter months, and its water capacity is 310 gallons. It has an ABS bottom that ensures durability. It offers maximum therapy with its 2 turbo seats. It has 1 underwater mood light and 12 perimeter lights, both LED. It comes with an ultraviolet ozonator (factory installed). It has stainless jets and waterfall. It is mildew, fade, and stain resistant. It is designed for deep relaxation. Why Buy The Right Hot Tubs? Soaking yourself in a tub can serve as a way for you to escape from your daily stress at home and at work. Heat helps our body increase its energy expenditure as it tries its best to keep it cool. As a result, weight loss can be achieved, especially as it can help you burn some calories without the need for you to go to a gym. The heat that comes from the walk-in tub can help improve your blood circulation and heart rate at the same time. When you submerge yourself in the tub, you perspire and as we all know, it is our body’s way to get rid of the toxins and reduce the oils in our skin. It can help improve the function of your lungs and heart. The bubbles that the tub produces can help relax your muscles, improving the muscle recovery process faster. It can strengthen your body and reduce the risk of acquiring injuries. Tubs can also be beneficial in treating sore joints and muscles, especially if it comes with water jets that make high-pressure water massage in certain parts of your body. It can help reduce the pain in the lower back area and pain brought by arthritis and other musculoskeletal conditions. A soak in a tub can leave you with a feeling of being invigorated. For people who are suffering from insomnia and other sleep disorders, soaking themselves in a tub before going to bed also promotes better sleep. There are different kinds of hot tubs. One is the standard tub, which is the most basic and cheapest option. Second is the soaking tub, which is intended for soaking. There are also whirlpool tubs that work especially for major muscle groups, air tubs that shoot out air and walk-in tubs for people with disabilities. There are also ones that come with a shower head. Apart from that, you can also choose to have above ground or in-ground tubs, depending on your personal preferences. There are soaking tubs that only accommodate a single person while there are also ones that can accommodate an entire family or up to six people. So, before you start your search, determine how many people would be using it. Buying a bigger one is ideal if you have kids or if you are fond of inviting your friends over to your house. Hot tubs can be made of either fiberglass or acrylic. Hot tubs that are made of fiberglass tend to be more lightweight and affordable. However, they don’t hold heat that well. On the other hand, acrylic hot tubs are not only lightweight and durable, but they can also hold heat well. It would be best for you to opt for the one made of heavy-duty materials and aesthetically appealing at the same time. Every bathtub comes at a cost. The more features it has, the higher the price. So decide whether you would just be opting for the basic model or the upgraded one. Also, if you can, omit some features that you don’t need to save more money on the product cost and electricity consumption, then much better. Last but not the least, you should consider the level of comfort that the product offers. Make sure that the tub is suitable for your height, regardless of whether you are seated or you had your legs stretched out. Also, make sure that there is enough space in case you intend to use it for the whole family. 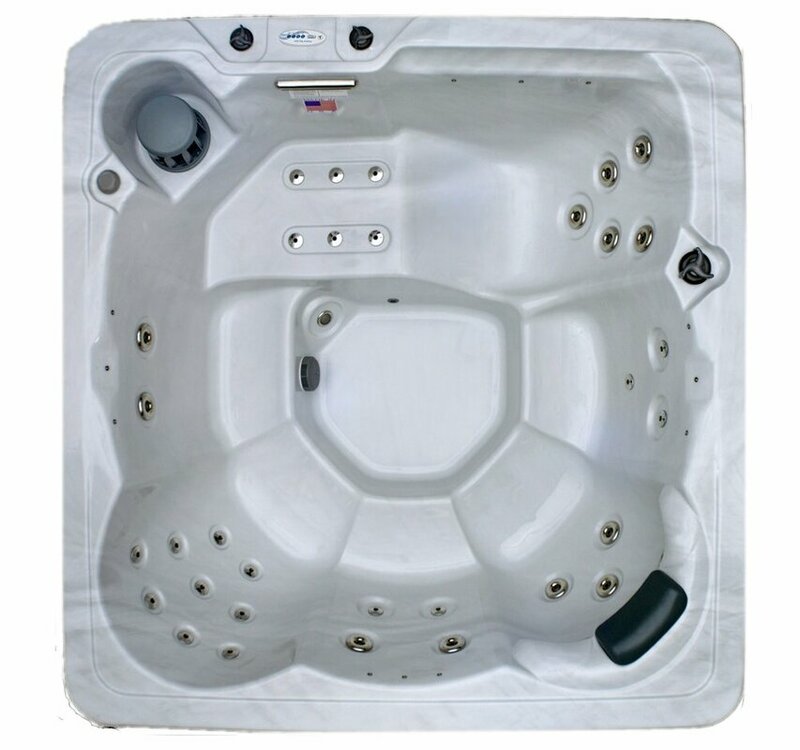 Moreover, if you plan to buy a hot tub with water jets, check out its placement and make sure that it has enough power in order to massage your muscles. It is also very important for the settings to be adjustable. 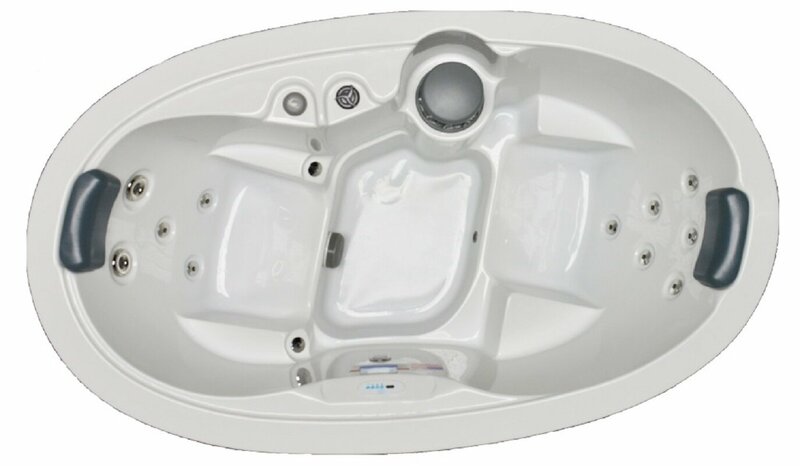 With the reviews presented above, we can clearly see that Hudson Bay Spas is one of the hot tub brands that offer comfortable, convenient, and easy to operate tubs at an economical price. It is a brand that is created to touch all the areas of the body, providing maximum relaxation at home. These products can also help you save money on your electricity bills as they don’t consume a lot of energy and more than anything else, it allows you to enjoy all the benefits that you should be getting from having an efficient and fully functional tub at home. Personally, I prefer the Hudson Bay Spas with 14-Jet and Waterfall. I like the fact that it has a built-in waterfall and can fit three people inside. Moreover, this hot tub is also child-proof, which means babies are safe to join you in the tub! Which Hudson bay Spas is your favorite? Let us know by leaving a comment down below! Thanks for reading!